Last November Companies House celebrated registering companies since 1844 – its 170th Anniversary! 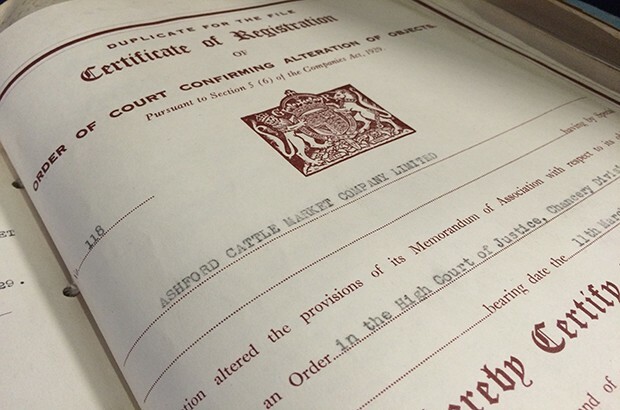 As part of this celebration we looked back at our long history, from wax seals to brass stamps and company ledgers through to the digital services of today and it’s this legacy that got us thinking about the oldest limited companies on the register - who were they, what did they do and were they still live and trading in 2014? Serjeants' Inn Hall, Chancery Lane in London - the first Companies House location. Running a data search on the register, as well as having a good look through our historical archives, meant we were able to locate 10 of the oldest ‘live’ limited companies on the register. These companies have filed with us on a yearly basis since incorporation - building a historical record that reflects the life of their company. Any company that has managed to successfully trade for 100+ years surely deserves recognition and so to celebrate this remarkable achievement we wrote out to those 10 companies to congratulate them on their long history and to ask if they would like to share any interesting stories or anecdotes with us. This is the oldest, surviving, registered company in England and Wales. It was incorporated on 25 September 1856, with local farmers and graziers deciding to form a company in support of their fast-growing market. The company was formed with the issues of 250 shares at £10 each, a fair sum of money back in those days. Today the market is used by some 5,000 farmers, it’s open 7 days a week and with an annual turnover of £20 million it ranks in the top 15 markets in Europe. 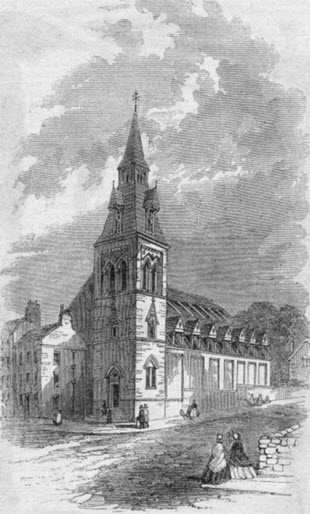 This is the oldest, surviving, registered company in Scotland, being incorporated on 13 February 1860. Named after the thriving market town of Cupar, the Cupar Corn Exchange company was set up to support the selling, grinding and processing of wheat, barley and other grains to local farmers, millers, bakers, brewers, maltsters and many other businesses. It issued a total of 467 shares, giving as many local people as possible the chance to own a stake in the company – the only consequence being that it now has 99 inactive shareholders who are presumed deceased, their last known addresses dating back to the nineteenth century! 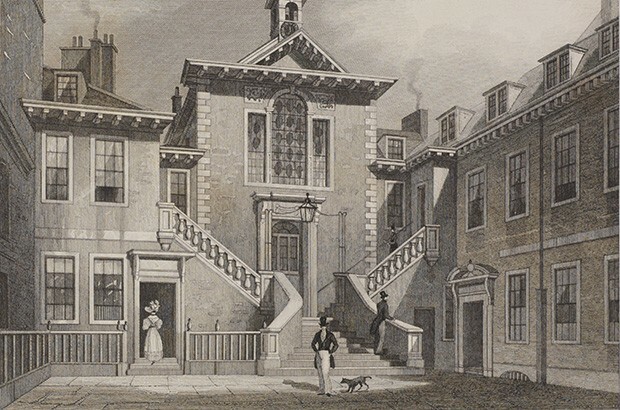 The new Corn Exchange at Cupar, Fife, Scotland circa 1700. Although no longer trading in corn, the company is still going strong as an Investment Trust Company and remains very much a family business, with sentimental value owing to its continued success. In 2007 the Registrar of Companies for Scotland, Dorothy Blair, presented the company with a commemorative certificate, recognising them as the oldest existing Scottish registered company. ‘The Rye Cattle Market Company Limited’ was incorporated in 1859 as local farmers, dealers and tradespeople shared a genuine desire to run a successful market for the purchase and sale of livestock. Once incorporated the company was able to purchase land, erect a central market hall and over the years continued to expand and develop the acres that make-up the market premises that still remain today. Although there is no longer a livestock market, Rye hosts one of the largest weekly general stall markets in South East England - returns a good profit year on year and recently held their 155th Annual General Meeting. It’s clear the world around us has changed significantly since 1844, but the foundation for trade and the entrepreneurial spirit of UK companies remains strong to this day and Companies House continues to play an integral role in supporting growth. Thats fascinating - It would be interesting to know whether they have adopted any more recent Articles of Association! As with all older companies the Companies Act 2006 will apply and so they will have moved with the times to a certain extent. It would be interesting to know what the secret is to their longevity and how they have managed to stay in business for such a long time. Perhaps having a dominant business in a defined market and area could be one. Another could be the fact that developments in technology will have had little impact on their competitiveness. Well done Companies House for providing support for so long.